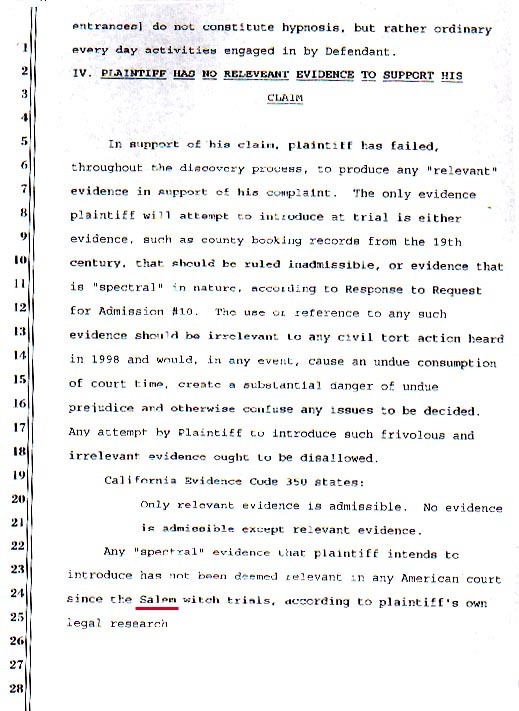 Again the defendant uses the legal action of the plaintiff in case 220298 as a vehicle to introduce facts into legal pleading because no other meaningful place exists. The extent of disinformation that modern society has undergone is shameful and degrading in light of the severe disabling problems it is creating. The instability of the family from the lack of recognition of fundamental human principals is devastating.